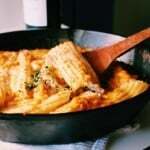 With the weather cooling down you absolutely need this ricotta cannelloni in your life. It is simple, comforting, delicious and belly warming. 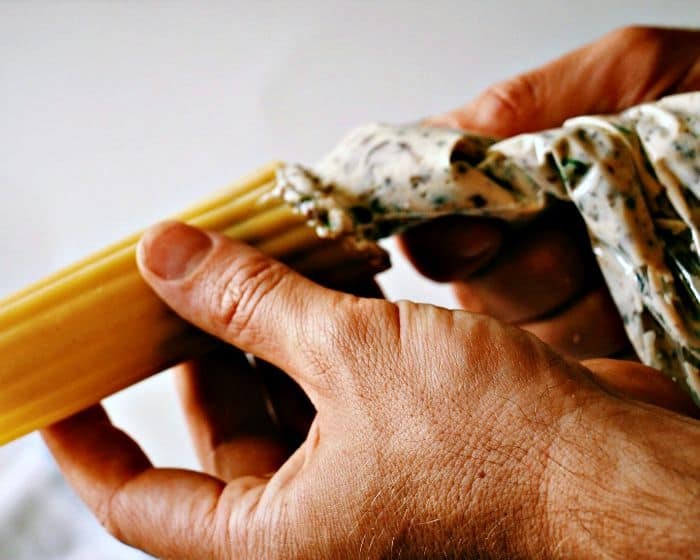 Tubes of pasta filled with mushroom and herbed ricotta – perfection! Get the whole family involved – the kids will have a blast stuffing the shells. This recipe has been updated from the original September 2015 version in order to provide a better experience for our readers. This post includes affiliate links, and I will earn a commission if you purchase through these links. Please note that I’ve linked to these products purely because I recommend them and they are from companies I trust. This recipe came about after spending the most amazing week traveling around with family…..eating. Technically it was a family vacation, but we literally spent the entire time eating (and drinking), I’m not gonna sugarcoat it….we ate….lots. Which tends to happen with all our family vacations. What can I say, we like food. So on this particular trip, one of the most fantastic meals we shared, was at a little restaurant in Carmel, CA called Casanova. Every.Single.Thing we ordered was amazeballs. Even the kid’s menu was awesome. Normally I steer clear of kids menus because they tend to consist of hot dogs and nuggets, but here?!? Here my two-year-old dined on some homemade in-house potato and spinach gnocchi that they have had on the menu since 1976 or something! And it was so good I would happily have ordered a serve for myself (and yes…I did eat the leftovers). 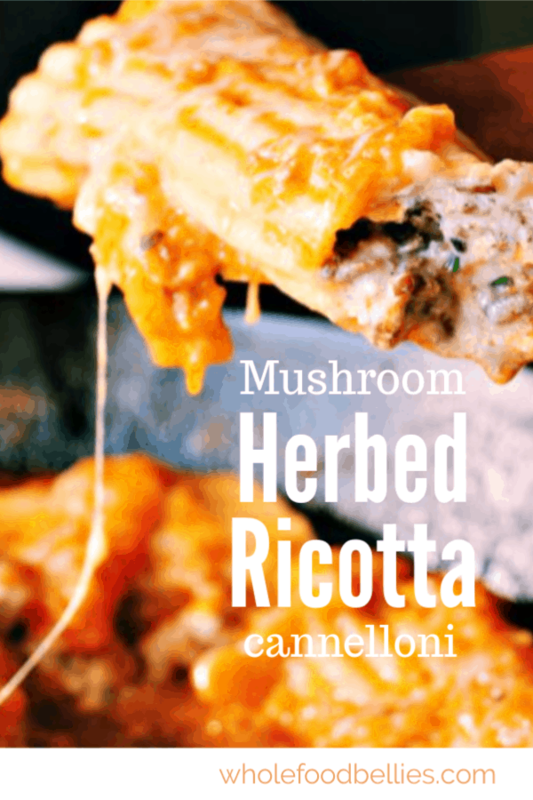 Tell me About This Mushroom and Herbed Ricotta Cannelloni. Anyway, I digress. One of the dishes we ordered was a beautiful mushroom and ricotta cannelloni with duck confit. A family-friendly version…with no duck confit. Please note: I do NOT have extremely hairy arms…these are my husband’s lovely arms! It is in no way as fancy as our lovely restaurant counterpart, because, let’s face it…I am making this whilst my two-year-old is sitting on the bench begging to help, and my 1-year-old is sitting in the highchair banging anything he can get out of the only drawer he can reach. But this one still tastes soooo good! I promise. I for one love leftovers and this tasted absolutely amazing the next day….and I was so hungry I didn’t even heat it up. I used my Fresh Heirloom Tomato Sauce, which gave the whole dish an extra sweetness, but if you don’t have time to make a sauce from scratch, then a good quality marinara will work just as well. Oh, and if you love mushrooms, be sure to check out these delicious Mushroom and Smashed Avocado Tacos. What do you think? I would love to hear from you. Be sure to leave a comment, like on Facebook, tweet to Twitter or pin for later. Have a great week! Happy eating. 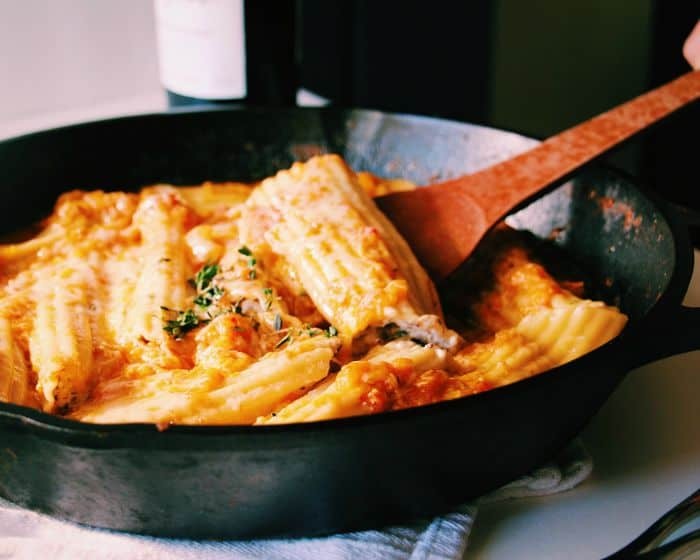 With the weather cooling down you absolutely need this ricotta cannelloni in your life. It is simple, comforting, delicious and belly warming. 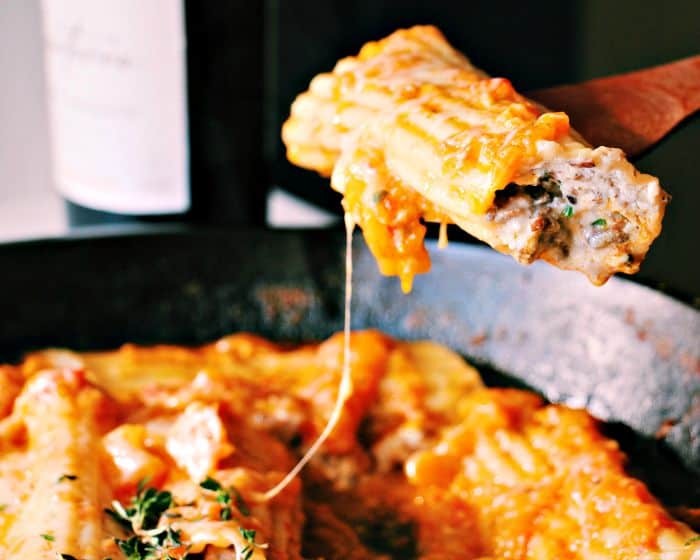 Tubes of pasta filled with mushroom and herbed ricotta - perfection! Get the whole family involved - the kids will have a blast stuffing the shells. I just made this recipe and it was delicious. I added some red wine to the mushrooms after browning, and mixed in some shredded mozzarella cheese to the ricotta. This looks like amazing comfort food! This looks and sounds so fantastic! I love a good pasta dish! I’ll be trying this one! 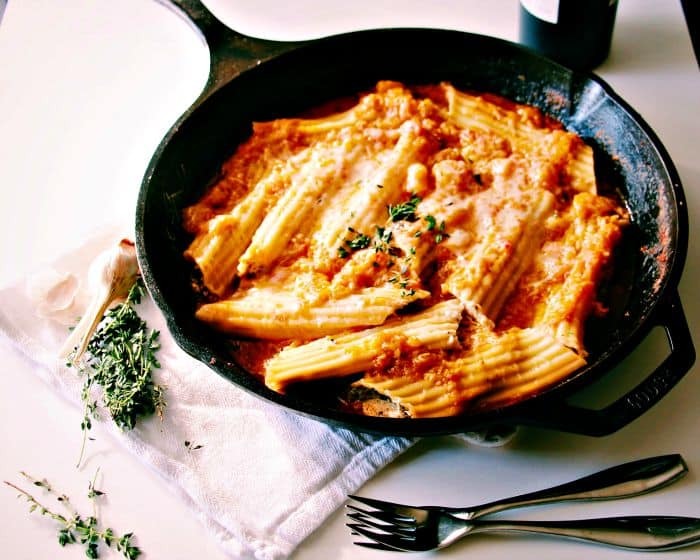 And your cannelloni sound easy and delicious. Wonderful! Are the ounces weight or volume? There’s no way to tell!!! Hi Martin, thanks for the question. I have converted the recipe to cups to avoid confusion. Hope that helps. These were fantastic! I needed a cannelloni recipe that didn’t require spinach. I do love spinach, but, well, because of that we didn’t have any left…. Anyhow, I made these last night and they were a hit! No leftovers. By the way, I tried to rate this recipe as a 5, but I can’t determine whether or not I was successful in that endeavor. Oh thank you so much for taking the time to leave a comment Jane, I am glad they worked so well for you! It is still one of our favourite dishes around here!! Shopping for ingredients this morning!! Love love love cannelloni! This looks so simple, cheesy and delicious. Yum. Thanks Thalia! It is definitely simple (I got my husband to try it without me, and it went off without a glitch), and so so yummy! Waw! This looks SO delicious! And i love pasta, mushrooms, garlic,….got to try this! I JUST had dinner, and you’ve got my mouth watering with this post! We LOVE Italian food in our house (as long as I’ve got TUMS nearby! ), so I must give this a try soon! Drooling right now!! This looks amazing! This dish looks supper delicious, I would definitely like to try this dish. I love how you gave step by step instructions as well. It makes it much easier to make in my own kitchen. Thanks Shernell 🙂 I am glad you like the instructions, I try to make it easy for people that haven’t made something like that before! Your version looks soooo amazing! Love when we can be inspired to create restaurant-style dishes at home! Love it! I love this recipe. I wish I could make it in it’s entirely, but my hubby is lactose intolerant, so I’d have to try it without the cheese. 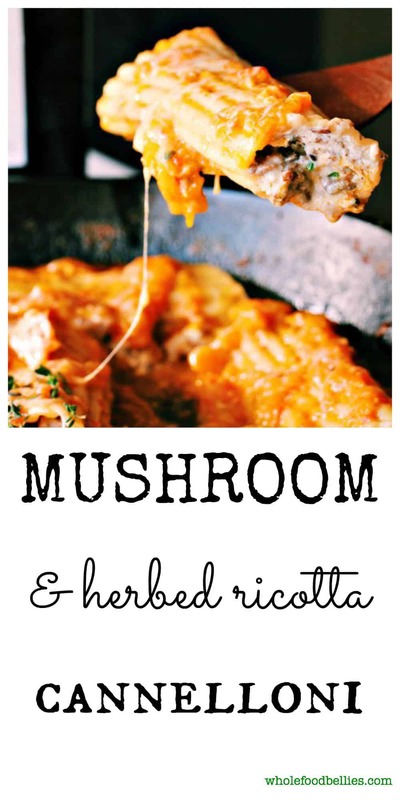 I am a big fan of mushrooms and your recipe with mushrooms and ricotta cheese sounds delicious! 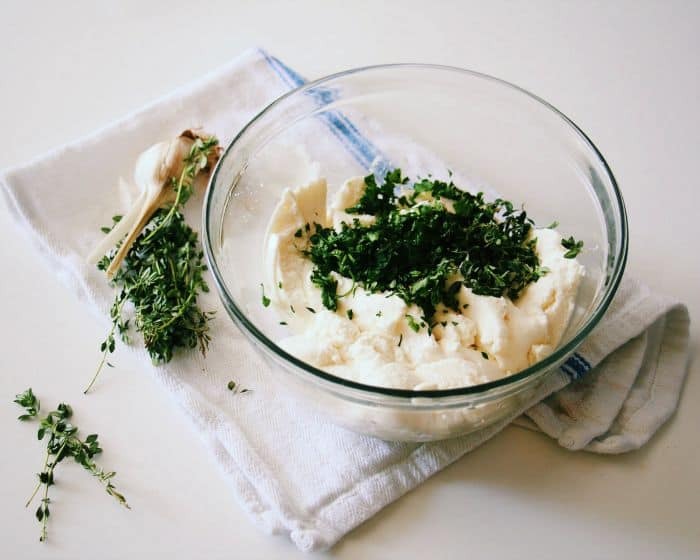 I have a total love affair with anything that has ricotta….if it’s ricotta and pasta, even better. This looks absolutely delicious and now I totally have to try it out. Mushrooms and ricotta cheese are two of my absolute favorites! Looks super yummy! Ok wow, this looks amazing. My pasta-loving hubby would devour this! Great recipe! Thanks so much Chrissa 🙂 My hubby ate a LOT of it!